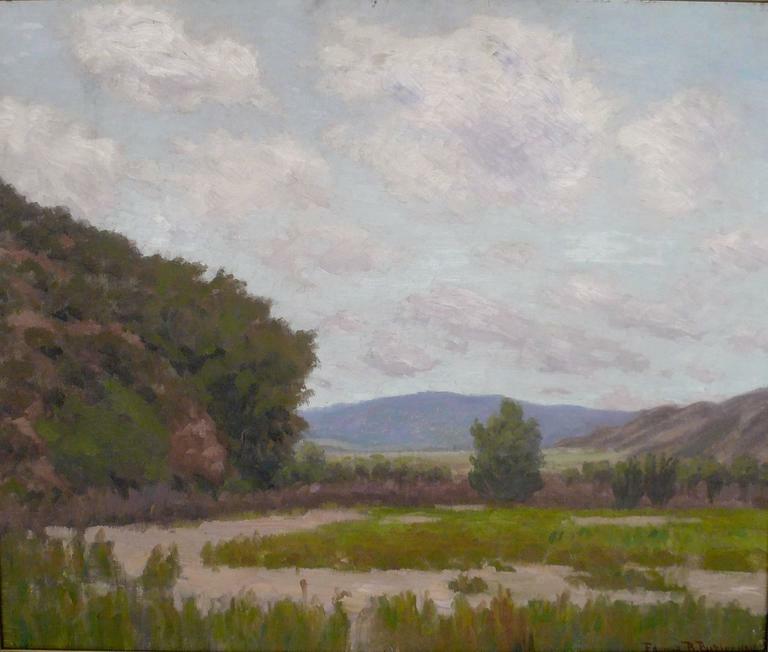 Edward Burgess Butler, 1853-1928, studied with F. C. Peyraud. 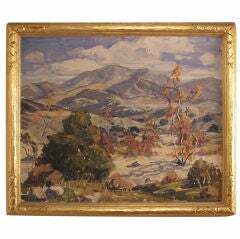 He was exhibited at The Art Institute of Chicago, and The Panama-Pacific International Exhibition of 1915. 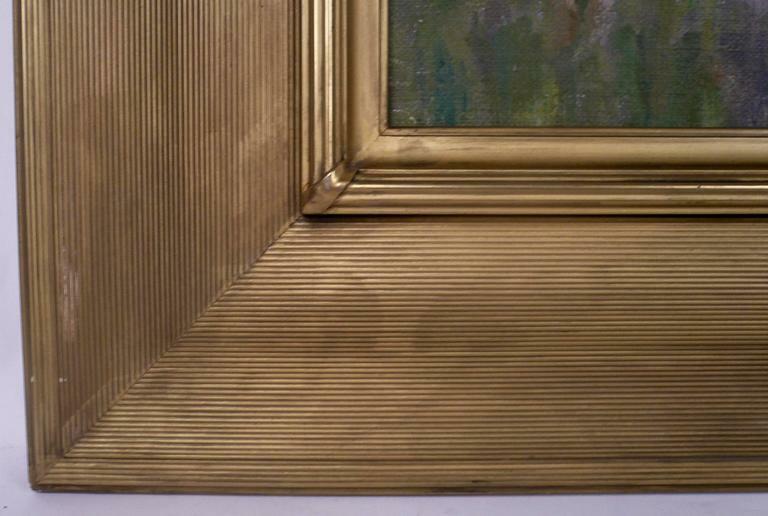 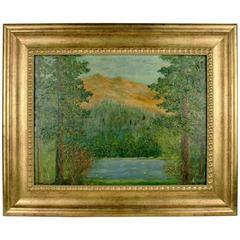 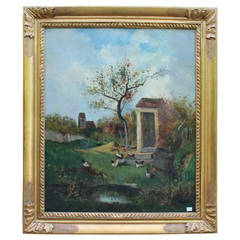 This painting is in excellent condition, and retains its original American Arts and Crafts style frame. 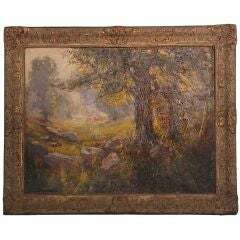 This oil on wood panel painting dates from the early 19th century. 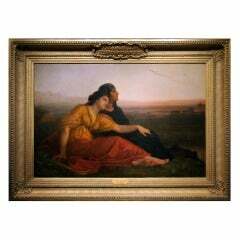 The bejeweled subject is seated on a Baltimore painted 'Fancy Chair'. 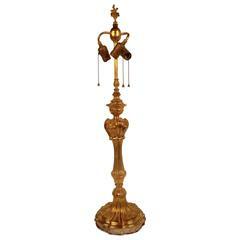 This quality three-light bronze lamp by Caldwell in the Louis XV style, features scroll and shell motifs on a marble base. 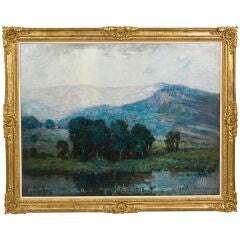 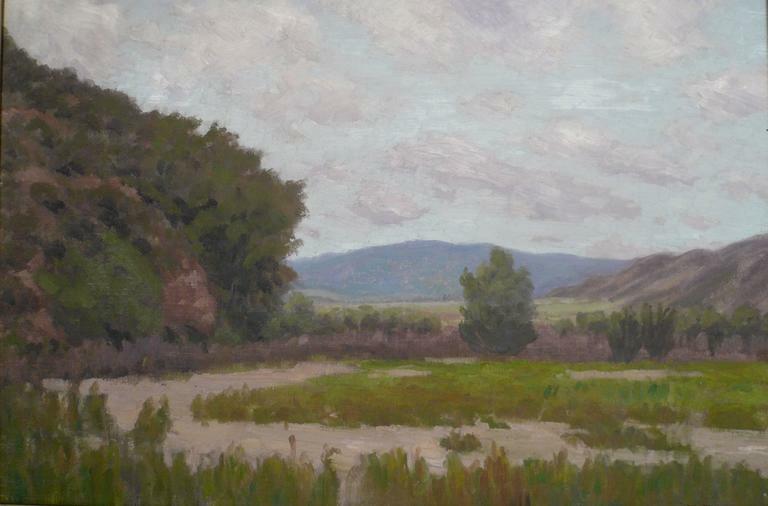 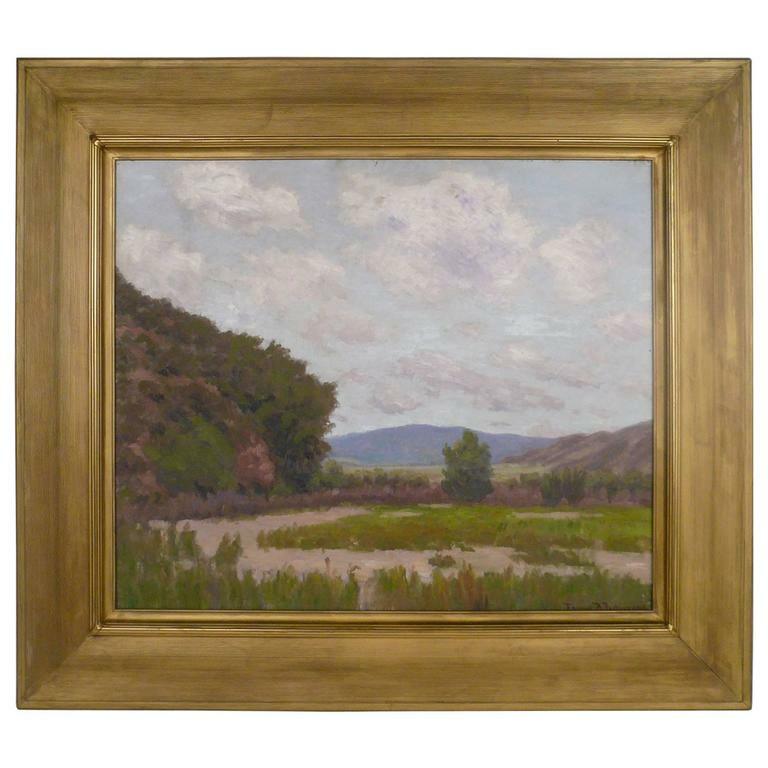 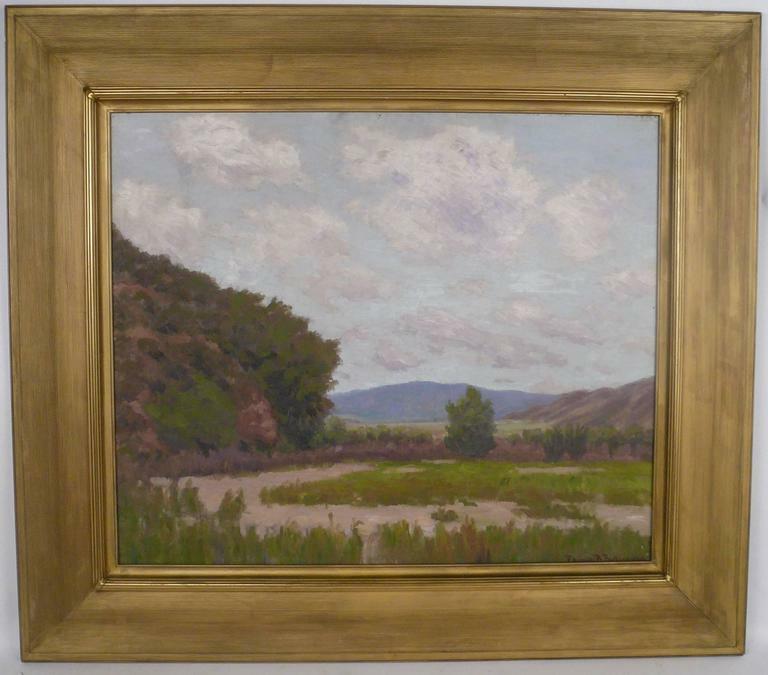 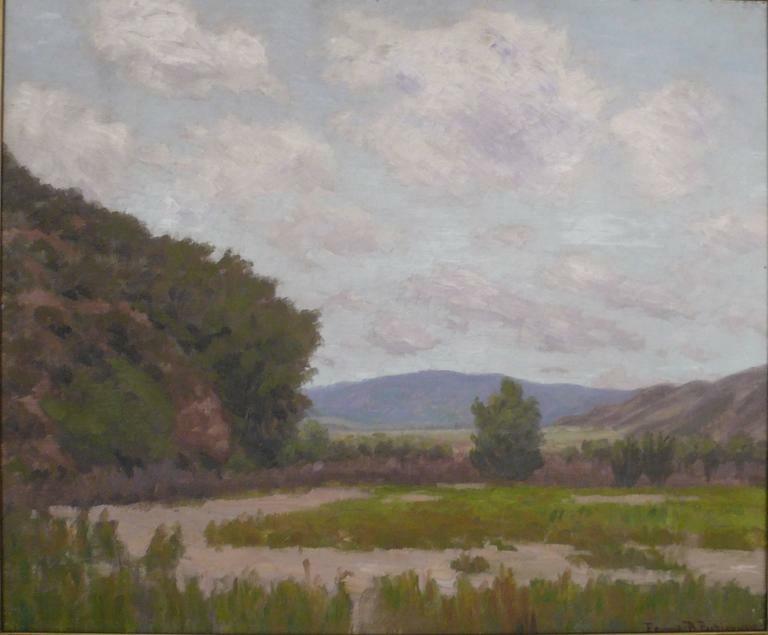 5-2684, impressionist landscape oil painting on masonite by F. Koops set in a 3.5"; wide custom wood gilt frame Image size 19.5 x 14.5"
Painting by a French painter signed Derenity and from the year 1881. 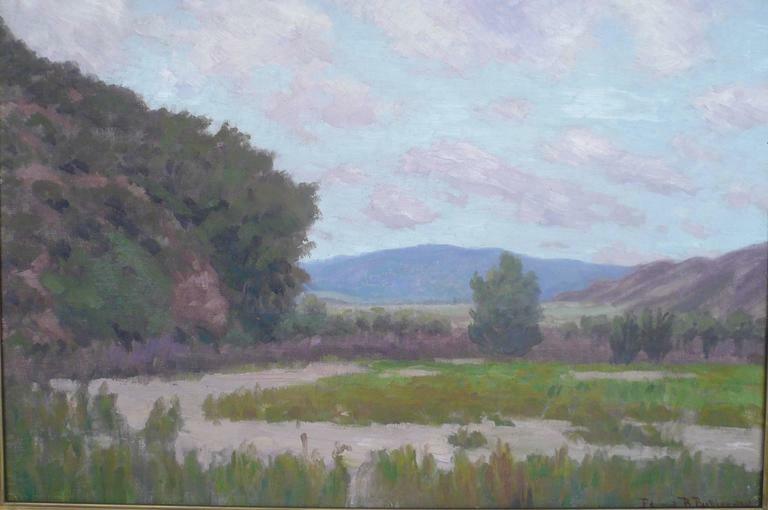 "Landscape with hens". 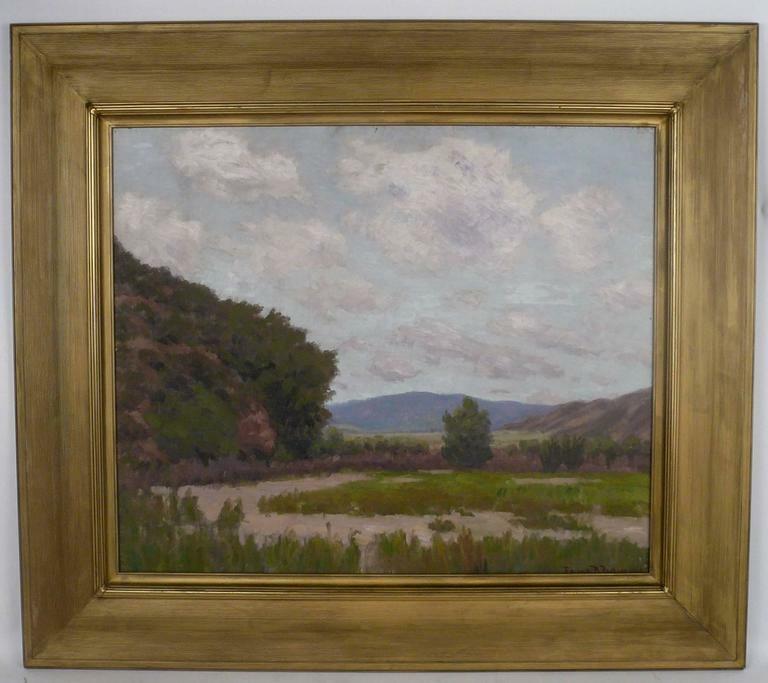 Nice 1920s coastal landscape of the California seashore.